I received a copy of Cadillac: The Tailfin years by Robert J Headrick Jr. from my brother for Christmas (thanks!). This 126 page book was published in 2008 by Iconografix. 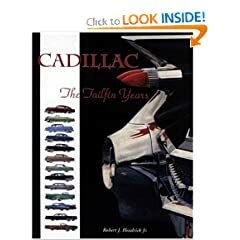 The book covers Cadillacs from the years 1948 through 1964, the peak of the years that Cadillac used prominent tailfins. The approach the author took, as explained in the preface for the book, was to use the advertising literature of the time to address each model, year by year. Each chapter addresses one year’s production, with illustrations drawn from actual sales brochures, and actual Cadillac marketing copy to tell the story of that year model. On the face of it, I like to read advertising copy. However, the illustrations often contain text that is too small to read (I considered but did not procure a magnifying glass to see if the text is legible if magnified). Often the text in the ad is repeated as text in the book surrounding the ad. This is useful, but problematic. I would prefer to see the ACTUAL brochure or advertising copy, presented in the form/format it appeared at the time. Then I would like the Author to add some background or context to help me understand what was happening at the time, what Cadillac was trying to do, and how it worked out. In other words I would like the book to be very clear to segregate the period advertising copy from the Author’s text. I am left with the feeling that the Author may have attempted my desire in terms of adding context, but because it is impossible to tell where the vintage advertising copy picks up and where the Author’s text ends, I am left wanting more clarity in the presentation. The back of the book contains a number of full-page Cadillac ads, all marked ‘From the collection of Frank Nelson’. It escapes me why the Author chose to credit Mr. Nelson on each brochure. Certainly the brochures themselves would be property of Cadillac to the extent they retain any intellectual property rights. I do like the year by year photos. Overall although initially I was put off by the presentation, I did find myself coming back and reading through year by year. The book itself has a full color paper card cover, and 126 pages of text. The volume is one of the thinner books in my Cadillac library. It is printed in China. The suggested price for the book is $34.95, which seems quite dear for this volume. 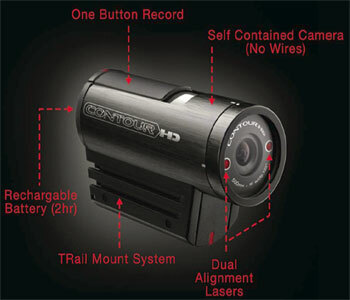 I would prefer to see it priced under $23, perhaps at $15 or $19. As a gift, it is a nice addition to my collection of Cadillac books. After reading an insightful post by David Meerman Scott on WebInkNow.com called Amazon as social networking I am trying to learn the zen of Amazon.com book reviews. First I had to try to navigate my way through shared Amazon account issues with my Wife, who had already shared a few reviews over the years. I think I have that fixed now, and have translated part of my review Books: Cadillac Participation in the World War (1919) to the appropriate Amazon.com page for the book here. (The book appears to have 3 entries on Amazon; Index listing here). I think my review is awaiting moderation at Amazon. I enjoy buying and reading Cadillac books, so hopefully I can share portions of my reviews from the blog here with the book pages on Amazon. I have not gotten all the way through my Cadillac book collection with reviews yet. You can find my current book reviews in the Book Review category here on the blog or on my legacy webpage here. If you are experienced with Amazon reviews please feel free to advise on things to be sure to do or things to be careful to avoid. The actual entry and mechanics of posting Amazon reviews seems straightforward so far. The public profile info is partially updated and partially not updated from my previously mentioned unravelling, but I assume that will fix itself over database updates / time. Any advice on the etiquette of Amazon review posts is welcome. If you have a book about Cadillac you would like to have reviewed please contact me via the Facebook or Twitter buttons.